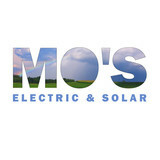 Mo's Electric & Solar is an electrical contractor that is fully committed to giving our diverse Cumberland County clientele prompt, consistently top quality electrical work designed to meet and exceed industry standards for safety and efficiency, regardless of the size or scale of the electrical work you need done. Our personable team of fully licensed and insured in-house electricians are leading experts in residential and commercial electrical applications. Drawing on a wealth of experience and training in electrical work of all kinds, we are optimally positioned to give our Cumberland County clientele a more complete electrical service. With our time-honored commitment to client care, the Mo's Electric & Solar team acts quickly to put your mind at ease and give you electrical services that are completely adapted to meet your specific needs. We will work closely with you to give you a range of proven effective, up-to-date solutions to your home or business' electrical requirements. And at Mo's Electric & Solar we never cut corners in our endeavor to give you the very best and fully code-compliant electrical work possible. In Cumberland County the Mo's Electric & Solar team has built a strong reputation for timely, safe and reliable electrical solutions, designed and implemented with a view towards maximizing your home or business' energy efficiency and bringing your Cumberland County home or business' electrical grid fully up to code. What's more, our expertise extends to cover a wide range of design options that will give you the freedom you need to customize your home or business' electrical layout, in order to better suit the precise style and functionality that you're looking for. At Mo's Electric & Solar our electricians are handpicked for their attention to detail, versatility, and ability to work in a wide variety of contexts. We combine experience and expertise in a wide range of commercial and residential electrical applications into an electrical service designed to maintain the highest safety standards and optimize your Cumberland County home or business' electrical performance. Are you interested in powering your Portland home with solar energy? Whether you want to lower your electricity bill or help the environment (or both! ), hiring a Maine certified solar energy contractor is a smart first step to getting off the grid and getting into energy conservation. Solar energy professionals in Portland, ME can evaluate your needs and design, install and maintain the best renewable energy system for your home. Let’s say you want a solar electric system for your home. An off-grid system basically consists of solar panels and battery banks. These battery banks store the sun’s energy so you can use electricity at night or on a cloudy day. This system is designed to keep household electricity running for about two or three cloudy days; longer cloudy periods require a backup generator. To install an off-grid system, you’ll want to hire a certified Maine solar energy contractor. Along with off-grid solar, wind and hybrid energy systems that include batteries and backup generators, there are also grid-tied solar and wind operations. Grid-tied systems are attached to your Portland, ME utility company so if you produce more energy than you use, your meter goes down and you build up energy credits. 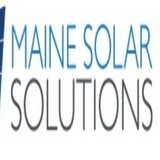 Can you give me any information on Maine solar rebate programs? Find solar energy contractors in Portland, ME on Houzz. Search the Professionals section for Portland, ME solar energy contractors or browse Portland, ME photos of completed installations and look for the solar energy contractor’s contact information.